Brockbank is happy to announce the Hansen Heroes for January! Picture #1 - Ella Crandall, Katie McComb, Savanna MacLee, Josie Cornaby, James Musgrave, Principal Alison Hansen, Meaghan Peine, Cannon Bennett, Leonardo Gonzales, and Kristine Burnette. Absent from photo was Kira Kecskes. Thursday, January 30, Brockbank students came to school with all sorts of injuries from broken arms, broken and sprained ankles, black eyes, head concussions, etc... if you didn't know better you would think Brockbank was a hospital instead of a school. Luckily all the injuries were fake. The spirit week activity was "Fake Injury Day"! The students had fun playing hurt and using crutches to get to class. Brockbank Spirit Week Continues with Fifties Day! Wednesday, Jan. 29, for spirit week Brockbank students celebrated "50's Day"! Students wore their 50's clothes to celebrate the decade when Brockbank Elementary opened. One student actually wore a dress from the 50's! Read more about Brockbank Spirit Week Continues with Fifties Day! Brockbank Spirit Week Crazy Hair and Sock Day! Brockbank's spirit week dress up for Tuesday, January 28 was "Crazy Day". Students could wear crazy hair dos and or crazy socks to school. There was some very creative hair dos! Read more about Brockbank Spirit Week Crazy Hair and Sock Day! Brockbank Celebrates Birthday by Hosting Spirit Week! Happy 55th Birthday Brockbank! Each year Brockbank celebrates it's birthday by hosting a School Spirit Week. During this week Jan 27-31, the sixth-grade student council sponsors some fun dress-up days to help students celebrate! On Monday, January 27, students, instead of dressing up, did the "Word of the Day." The idea was to get students to really think about what they are saying and trying to put a new word in their vocabulary. Each grade was given a different word to try and use throughout the day. Read more about Brockbank Celebrates Birthday by Hosting Spirit Week! Brockbank is happy to spotlight Mrs. Sandy Carpenter. Brockbank Sixth-Graders Attend Sports Hero Day at BYU! On January 16, 2014, approximately 1200 sixth-grade students from across Utah Valley descended onto BYU campus for an exciting day to be spent with their local sports heroes. 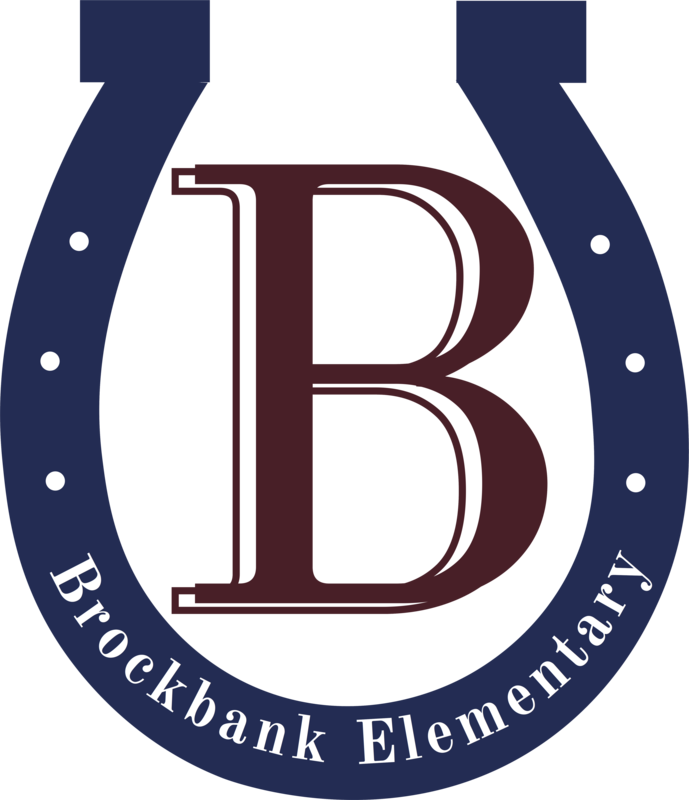 Brockbank Elementary made up 69 of the over 1200 students. BYU calls this activity "Sports Hero Day". Its purpose is to provide sixth-grade students the opportunity to interact with BYU athletes, to learn about teamwork, and to observe their positive examples in academics, athletics, and social circumstances up close and personal. Read more about Brockbank Sixth-Graders Attend Sports Hero Day at BYU! Brockbank students lined the street waiting to welcome home Sergeant First Class Ryan Baum as he returned home from his service in Afghanistan. He was escorted with lights and sirens on a fire engine, with other fire engines, ambulances, and police cars. It was a great opportunity for students to be a part of this experience of welcoming home one of our servicemen. We are honored that Ryan and his family live by Brockbank and want to thank him for his service to our country. Ryan's son, Kaleb, is a fifth-grade student in Miss Stephanie Benson's class. Gavin Jensen and volunteers with book shelves made for Brockbank library. Front- Ben Boyack, Lance Jensen, Brennan Peine. Middle -Garrett Small, Randal Huff, Gavin Jensen. Back - Matthew Boyack, Wyatt Jensen, and Caden Critchfield. Brockbank Students Love Their Teacher! In all the excitement of the power outage on Friday morning, one of our teachers grabbed her shoes in the dark and came to school with two different shoes on. Students in her class, to show their support and to help make her not feel bad, changed shoes with classmates so they too had different shoes on. Students at Brockbank love their teachers! Read more about Brockbank Students Love Their Teacher!